Managing Attorney | The Ashmore Law Firm, P.C. 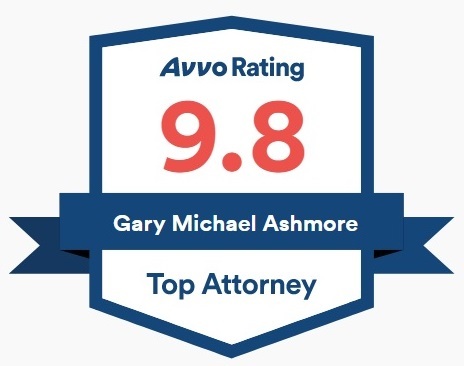 Gary Ashmore is the managing attorney and oversees all the operations of the firm. His background is in General Civil Litigation, Probate, Ancillary Probate, Guardianships, Family Law, Real Estate, Business Litigation, and Personal Injury. He has served as Court appointed Attorney Ad Litem on numerous cases, as well as Guardian Ad Litem. Mr. Ashmore manages over several hundred Ancillary Probate cases and works with clients and attorneys throughout the United States. Gary was born and raised in Dallas, TX where he attended Jesuit College Preparatory School. He then attended Texas A&M University and Texas Wesleyan University School of Law. Gary stands out among other attorneys due to his unique approach to each and every case. He believes every client should hire their attorney as they would their own family doctor. He is able to handle each case in the most cost-effective and efficient way possible by advising clients upfront of the costs and any risk or exposure involved. Authored and Co-Authored several books dealing with Family, Probate, and Personal Injury Law. Co-Authored and presented, "What You Need to Know Before and After the Final Decree". Co-Authored and presented to the Texas College for Judicial Studies, "Drop Me Off at the Probate Court on My Way to Family Court: The Overlap Between These Two Areas of Law". Authored and presented, "The Benefits of Collaborative Law in a Probate Case". Interviewed for and appeared on WB Channel 33 and NBC News discussing trending legal issues within our community.